Aston Villa have sacked manager Roberto Di Matteo after just 123 days with the Italian leaving the club 19th in the Sky Bet Championship standings. 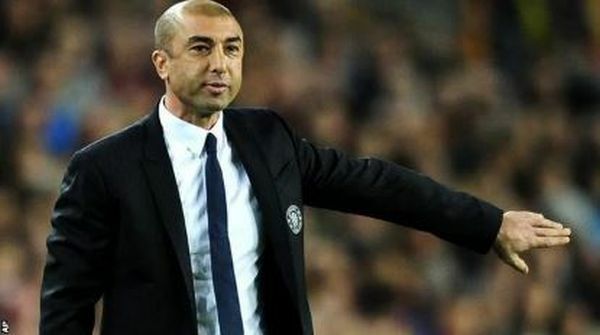 The club spent £50million in the summer with Di Matteo appointed in June with a mission to gain an instant return to the Premier League after relegation last season. However the Champions League winning coach won just one of his 12 games in charge. After Saturday’s 2-0 defeat at Preston Villa released a statement: “Aston Villa Football Club has today parted company with manager Roberto Di Matteo. “The club decided to act following a run of disappointing results which has left the team occupying 19th position in the Championship. Assistant manager Steve Clarke will be in caretaker charge but Villa do not play again until after the international break, when they host Wolves on October 15. Di Matteo’s reign is the shortest of any permanent Villa boss in the club’s history and they are now looking for their fifth full-time manager since February 2014. The former Chelsea manager made nine signings in the summer, spending £12million on Ross McCormack and £15million on Jonathan Kodjia. The strikers have however scored just three goals between them and McCormack had a penalty saved against Preston at the weekend. But they are 15 points behind leaders Huddersfield and Steve Bruce and Brentford boss Dean Smith have been linked to the vacancy.